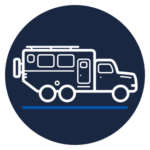 Payload, energy and living space are essential criteria of any recreational vehicle. 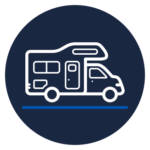 Our goal is to propose new technologies for your RV in order to preserve your comfort. Moulded fibreglass meets our requirements regarding insulation, durability, waterproofness and weight. It is the perfect material for the cell of your recreational vehicle. We use new technologies to propose you an excellent payload which enables you to increase storage capacity for water, on-board equipment, and luggage… in all safety. Starting from a van, a chassis cab or a pickup truck, our concept will make you rediscover the pleasure of travelling in a recreational vehicle. 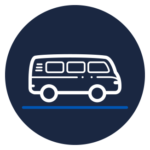 Our recreational vehicles are available in touring or off-road versions. And everything is made to measure to fully satisfy your demands.